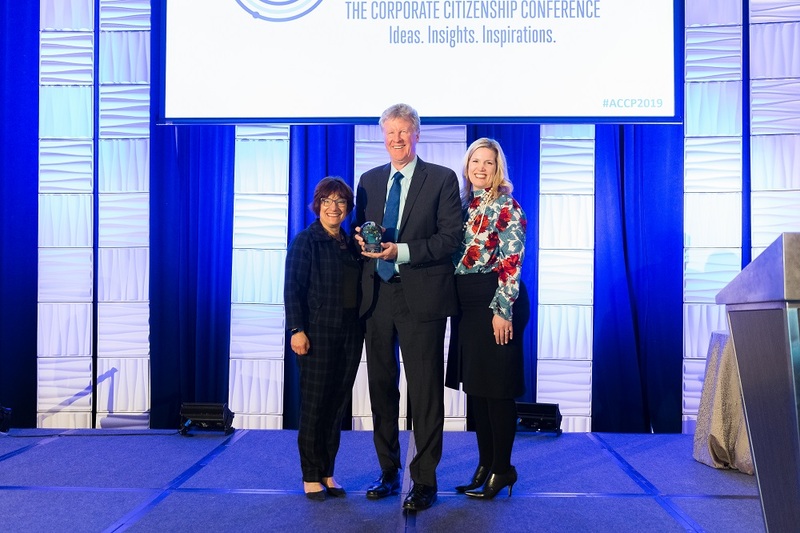 The Association of Corporate Citizenship Professionals announced the winners of three major awards that recognize excellence among senior executives, leading practitioners, and growing talent within corporate citizenship. 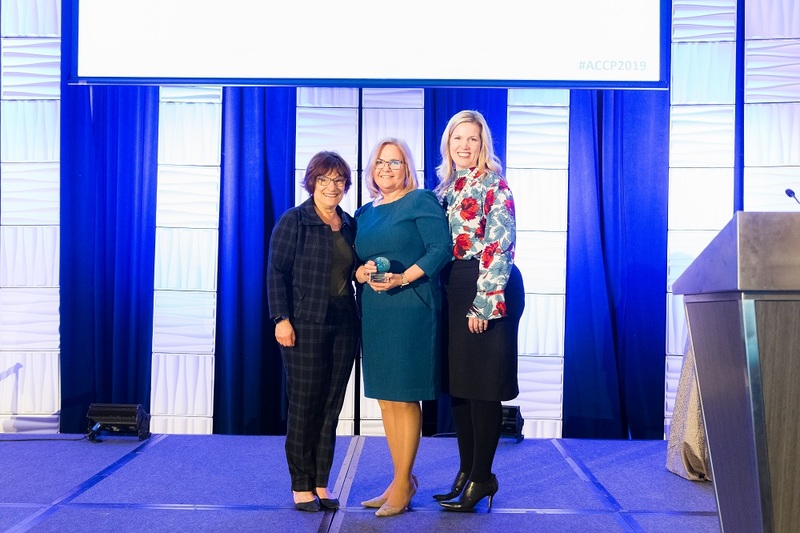 March 19, 2019 /3BL Media/ - The Association of Corporate Citizenship Professionals (ACCP) celebrated exceptional leaders in corporate responsibility through their inaugural Purpose Awards. 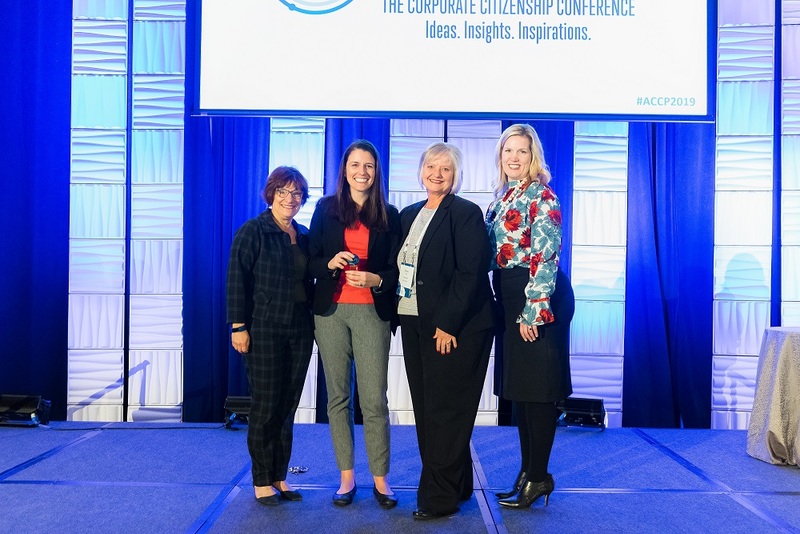 The awards were given at ACCP: The Corporate Citizenship Conference 2019 to recognize professionals making significant social impact within their companies and communities. The 2019 Champion for Change Award, which is given to a senior executive who provides leadership that advances social and business impact throughout our world, was given to Dan Sullivan, Jr. He is the CEO of Collette, North America’s longest running global tour company. Mr. Sullivan’s commitment to corporate citizenship is enduring, and, because of this, Collette focuses on using philanthropy to help their travel destinations fight hunger and improve access to education. He has created a legacy that inspires corporate responsibility professionals to reach higher, dream bigger, and drive meaningful results. The second major award was given to a senior practitioner whose leadership, strategy, and programs have demonstrated significant business and societal impacts. Karen Davis, Senior Vice President of Global Philanthropy and Social Impact at Hasbro, Inc., earned the Trailblazer Award. She has inspired her teams and community partners to bring about extraordinary outcomes. Ms. Davis has led Hasbro, Inc. to employ its assets for good, impacting 4 million children worldwide, engaging 94% of Hasbro’s workforce in volunteering, and inspiring 15 million children and caring adults to be kind. She has also made significant contributions to the corporate citizenship profession as one of the co-founders of ACCP 16 years ago. The final award is given to an emerging professional in corporate citizenship whose work creates meaningful impact inside and outside the company, often requiring influence well beyond the level of their position. Heather Meloy, Manager within Responsible Business Leadership at PricewaterhouseCoopers, took home the Rising Star Award. Ms. Meloy is forward-thinking, a subject matter expert in how technology can foster employee engagement, and a leader within her company. ACCP is proud of the 2019 Purpose Award winners and looks forward to what these individuals will accomplish next. Founded in 2005, ACCP is a membership-based organization chartered to champion the Corporate Citizenship professional. ACCP connects members to information, peers and resources and cultivates educational opportunities that promote better stewardship of corporate resources to magnify social and business impacts. For more information visit www.accprof.org.